5 ∾These are not real sceneries. 4 ∾ Impressive decorative sinks (via Vintage & Chic). 3 ∾ Great unpretentious loft design (via Remodelista). 1 ∾ These mobiles are masterpieces (via Veda House). 4 ∾ These rustic industrial metallic drawers. 3 ∾ Oh, these sixties table lamps! 2 ∾ Never thought a leather chair would look so cute. 1 ∾ A first knit throw for the colder days. 3 ∾ This small yet pretty swedish apartment. 2 ∾ The butterfly chair fits just about anywhere. 1 ∾ Decorate your living room with a casual loft style, the 3d sketch edition. 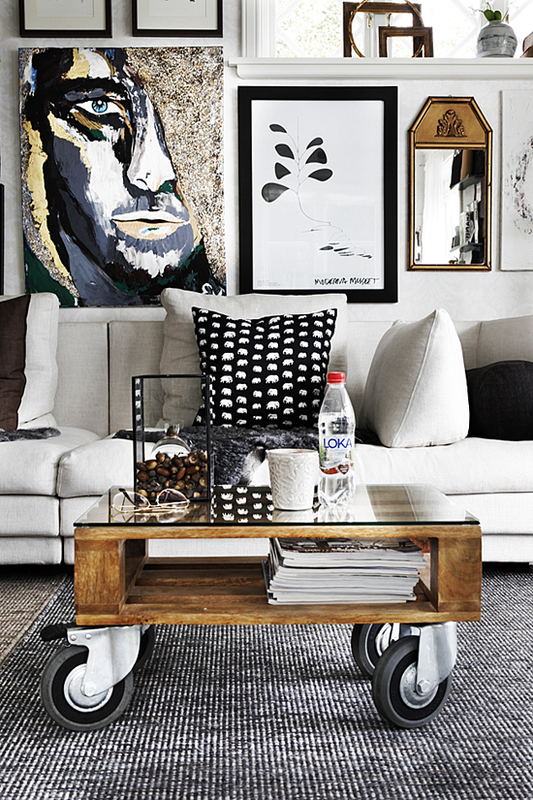 2 ∾ Top: Impressive art wall collection and a favorite wheel coffee table. 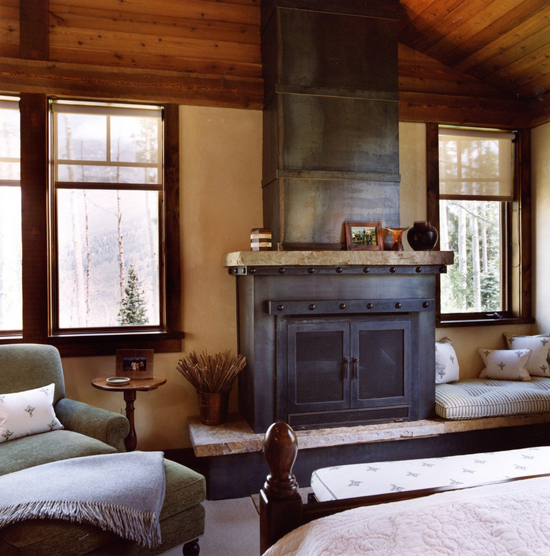 1 ∾ Bottom: Love the iron fireplace in this oh so cozy bedroom. 1 ∾ Using sofas and benches at the dining table. the first photo is so inspirational. loved it.